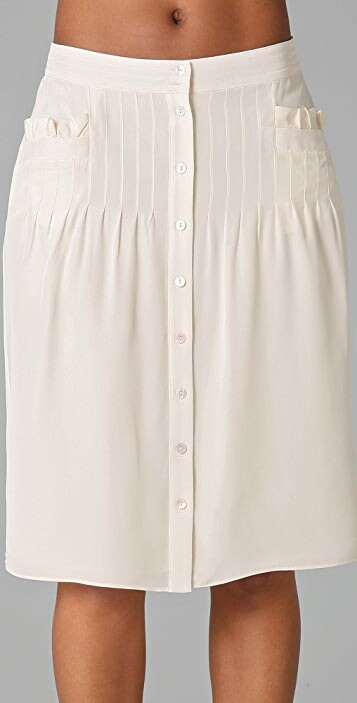 This silk knee-length skirt features a 10-button closure and pintucking at the front. 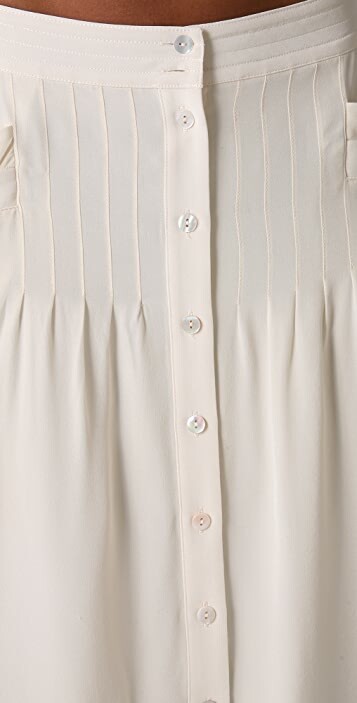 Quilted banding at waist and ruffle trim at welt hip pockets. Beautiful material and color. Nice cut and flattering style. Note, however, you will likely want to order down a size. I ordered a size 4 and am usually a 6 and the skirt fits fine even a tiny bit loose in the waist.